This wine is made from all the vineyards planted in the Brand that we do not classify for Grand Cru (mostly depending on the age of the vines) and then blended with a small vineyard located on a rich gravelly (granite) valley floor just beneath the Brand. These vines are almost always amongst the earliest Riesling to be harvested. The climate there is warm and precocious, and the light granite soil increases the influence of the sun on the ripeness. We really aim for a potential ripeness that allows the yeasts to finish this wine dry, even if they need sometimes 12 months to do this (like in 2015) and we were so lucky and happy that this was the case in 2015! 8/2017: clear bright yellow colour. The nose is intense and approachable for such a young wine. Classic granite influence on Riesling: broad palate, good length, ripe acidity with good salivation. 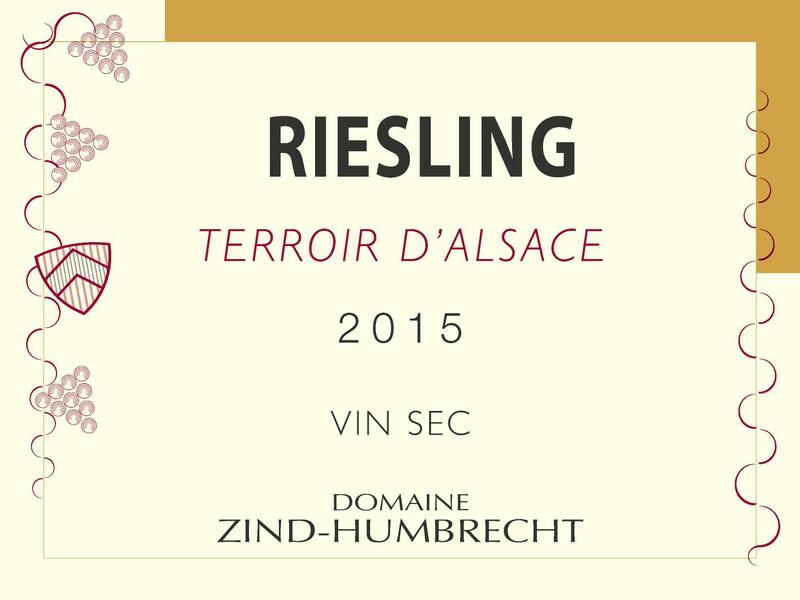 Like most 2015s Riesling, it will take some more time to fully open up and show the aromatic potential. Dry finish with some tannic presence. Very enjoyable and easy to use wine!